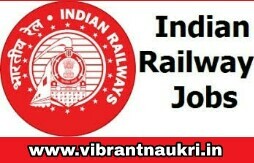 Western Railway Recruitment 2017 | 55 various vacancies of Trade Apprentice Trainee Post | 10th, ITI Pass: Western Railway has published recruitment notifications 55 various vacancies of Trade Apprentice Trainee post. More information please read below mention details carefully. Educational Qualification: 10th Pass with 50% marks with ITI. Rs. 100/- for General Category & other category. How to apply : send their application in prescribed format to below mentioned address along with necessary documents by RPAD.